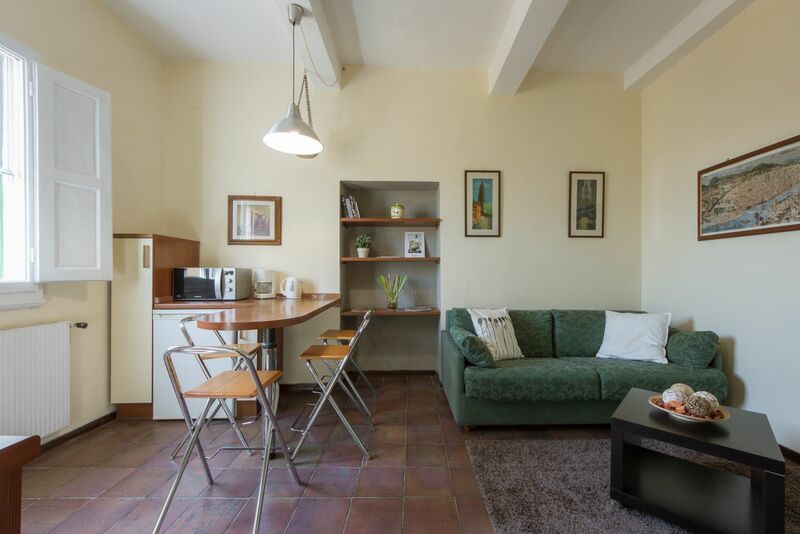 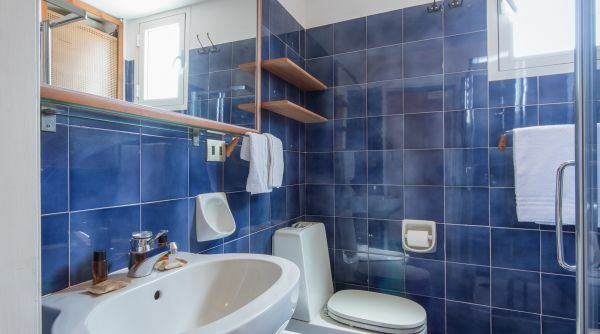 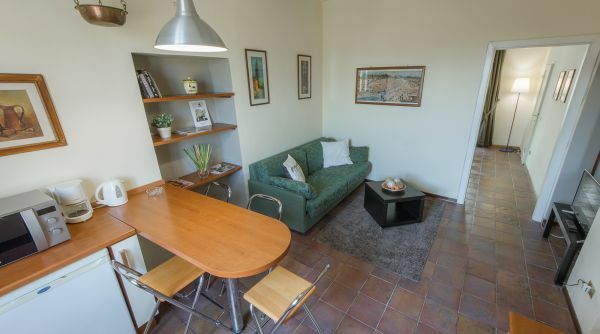 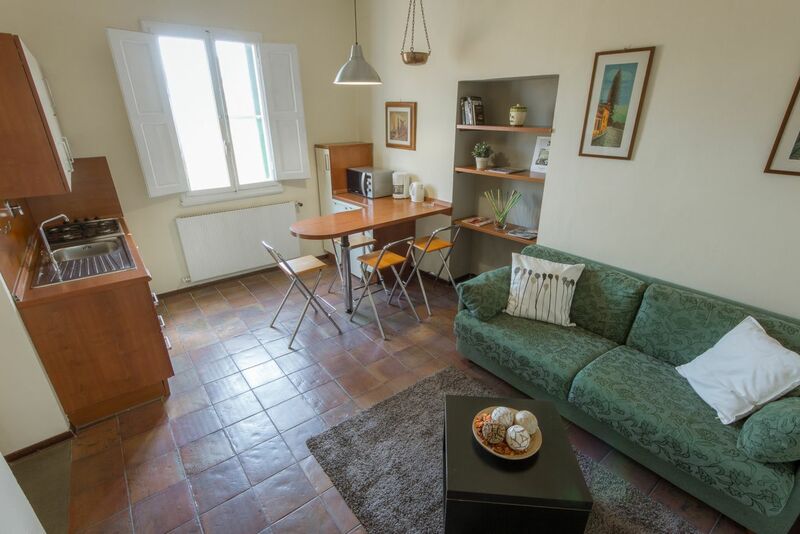 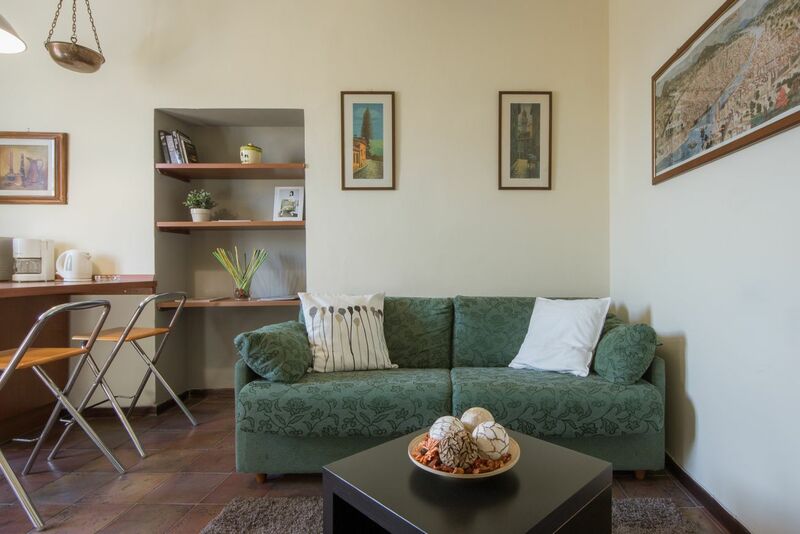 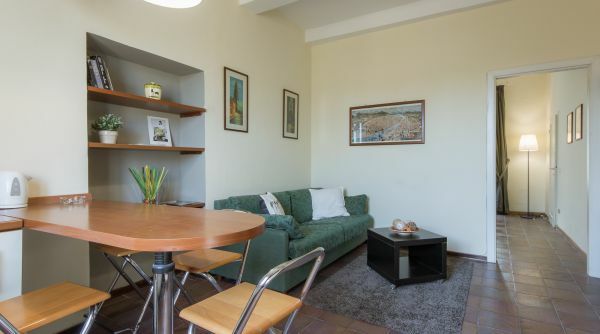 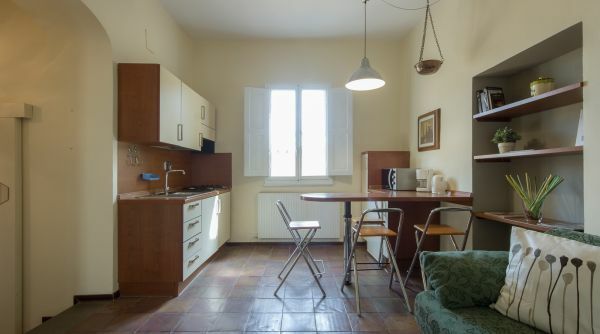 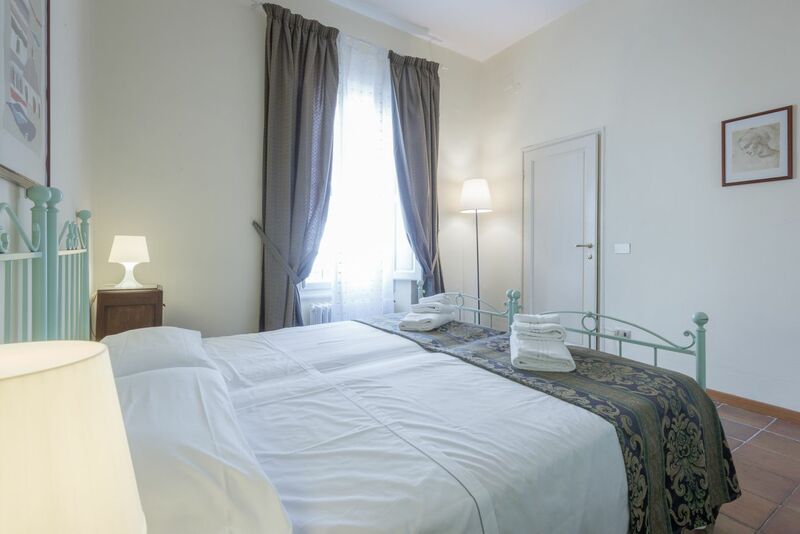 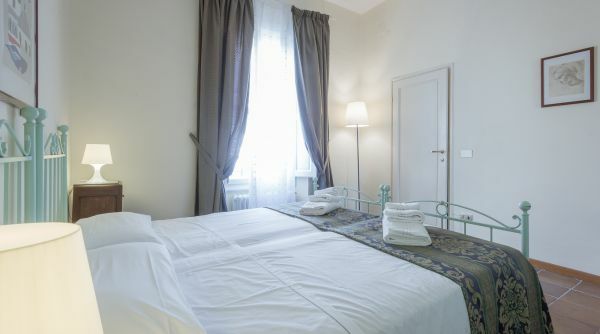 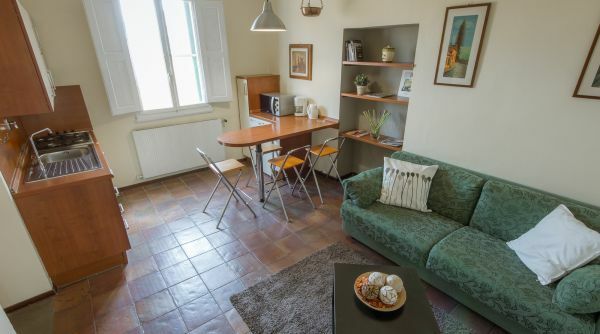 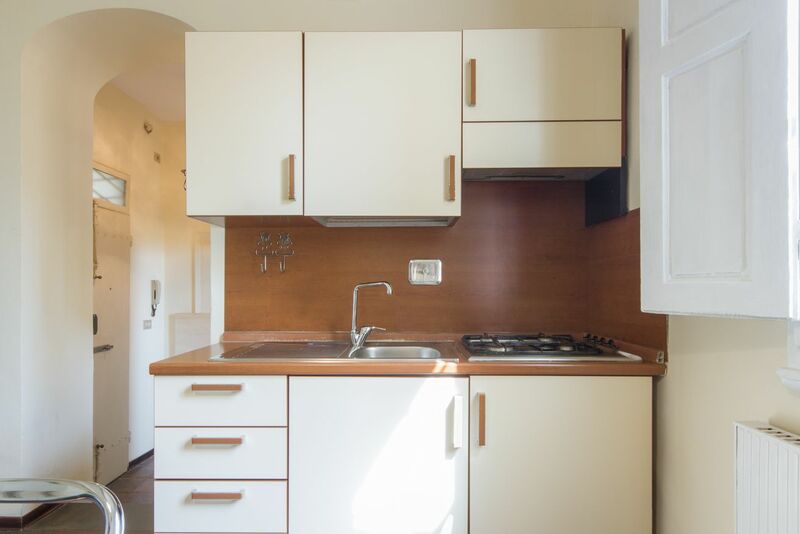 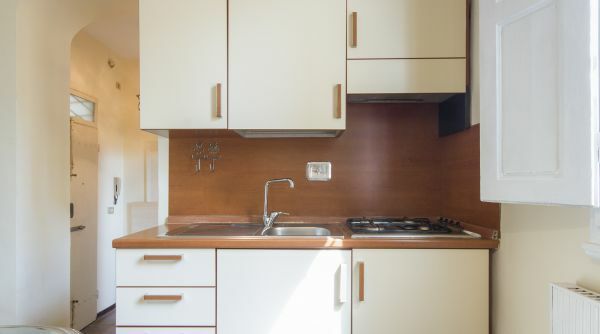 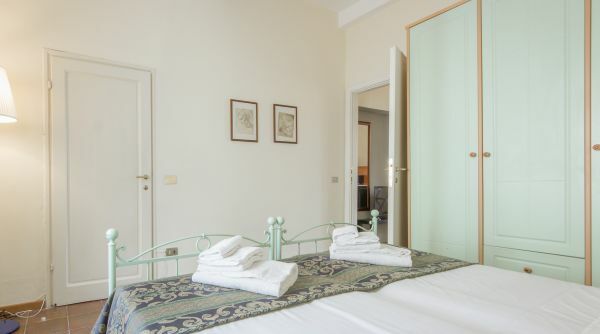 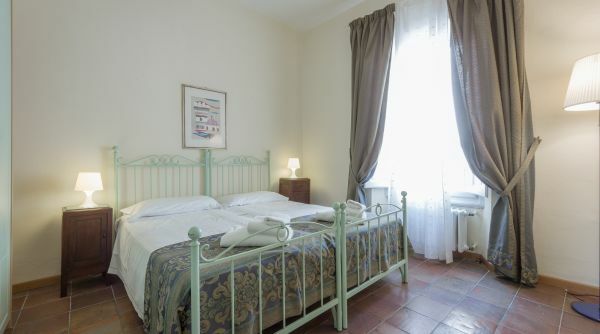 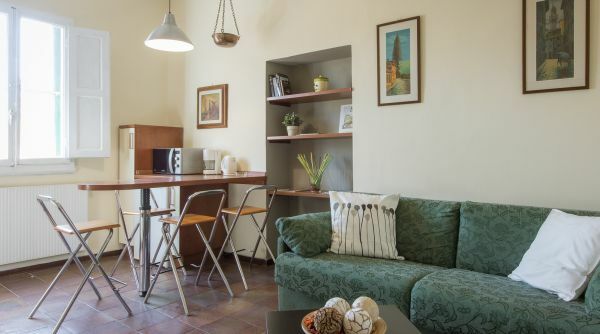 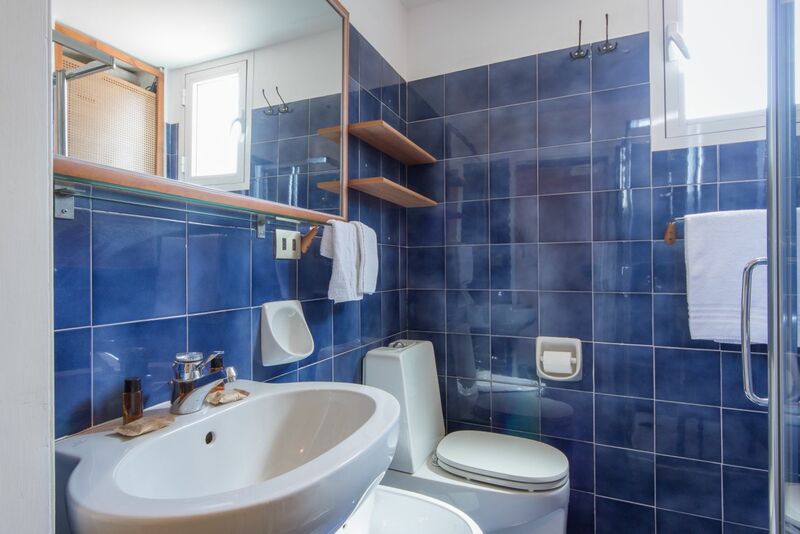 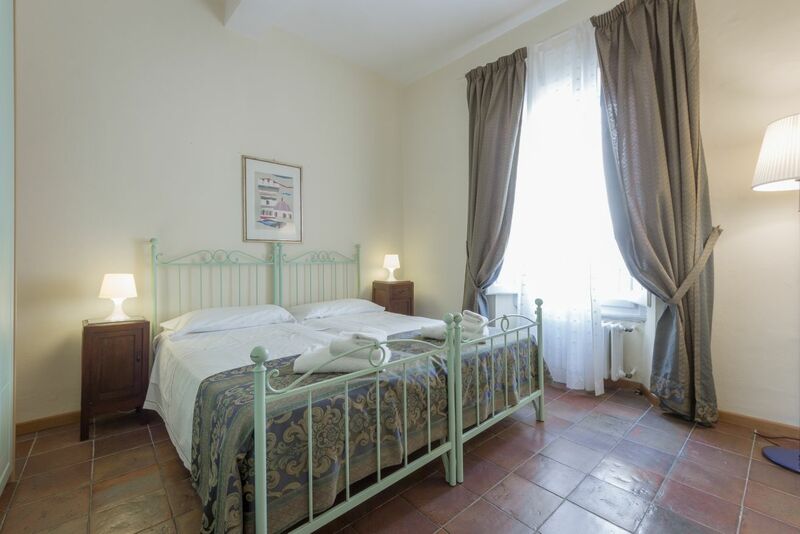 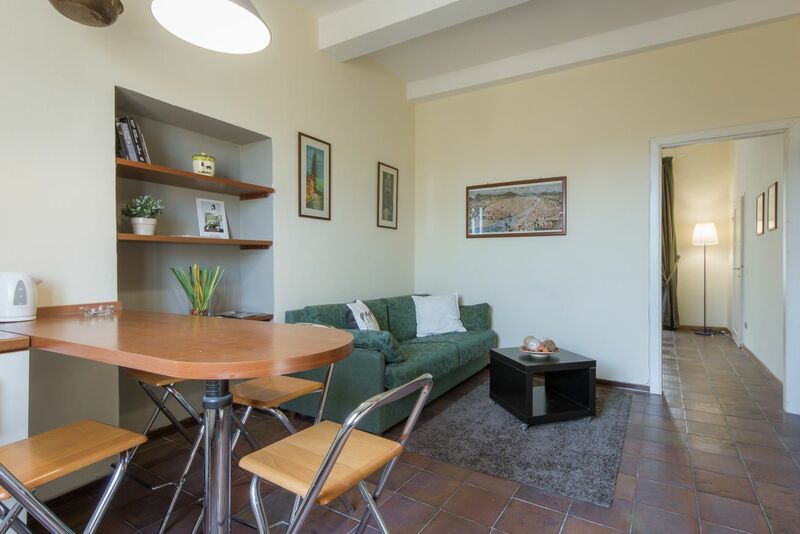 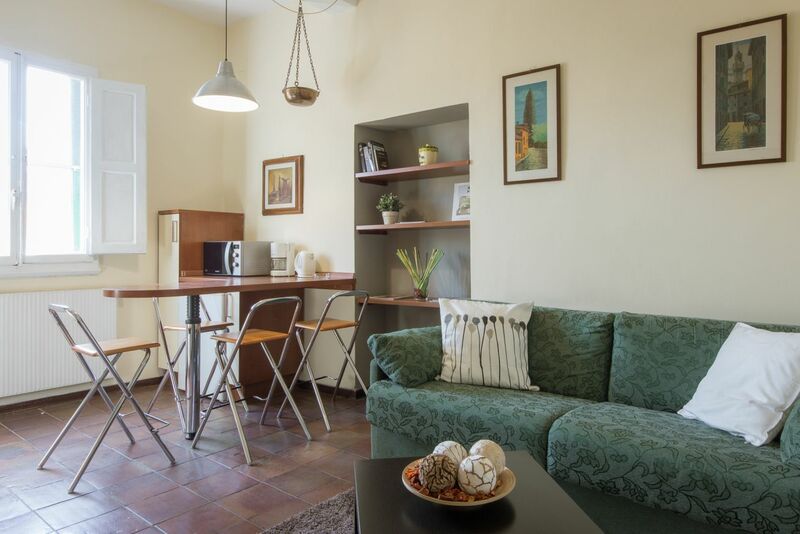 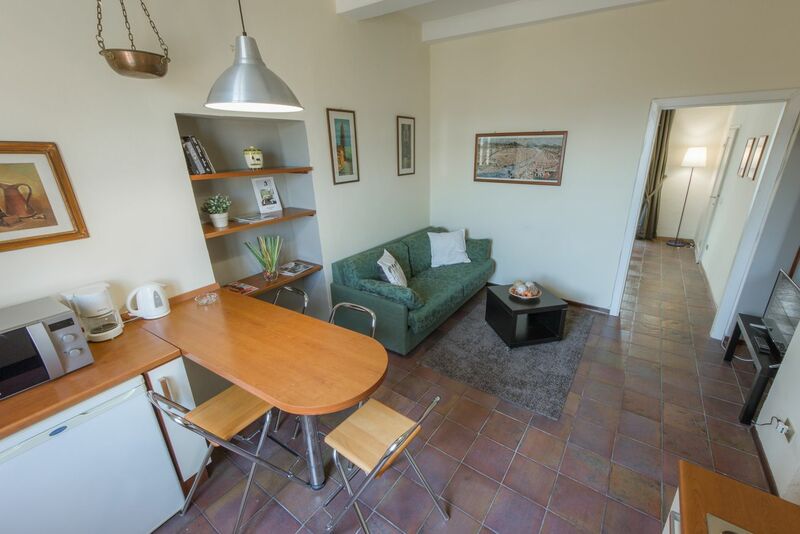 This 1-bedroom, 1-bathroom apartment is located in a quiet and tranquil street in the Oltrarno area, very close to the Ponte Vecchio and just a short walk to all major monuments and tourist spots. 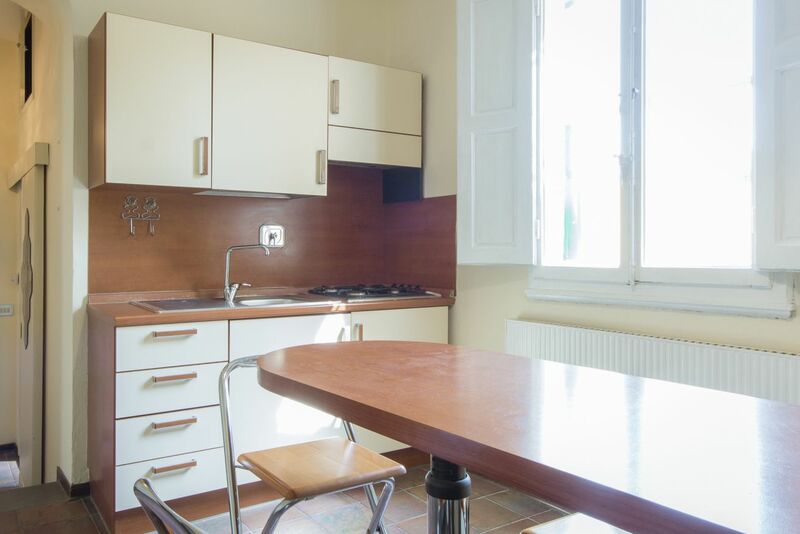 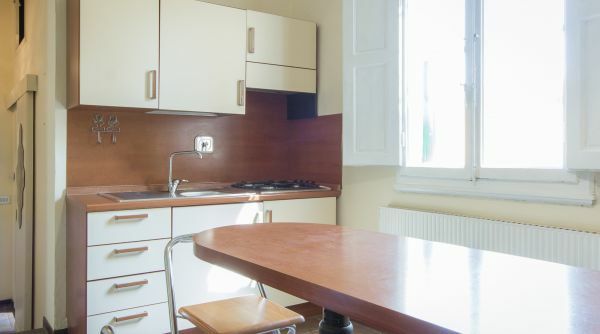 This apartment is located on a 2 EU | 3 US with very manageable stairs. 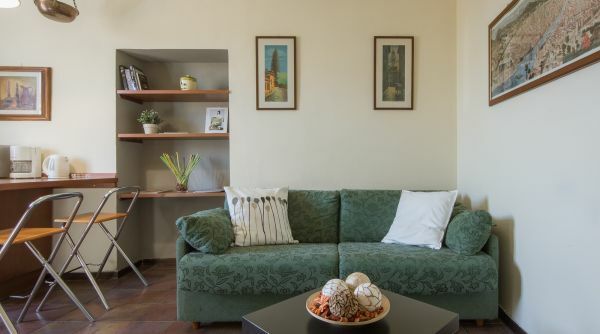 The property is very bright with lots of natural light coming in during the day, quiet and decorated with a typical Tuscan style. 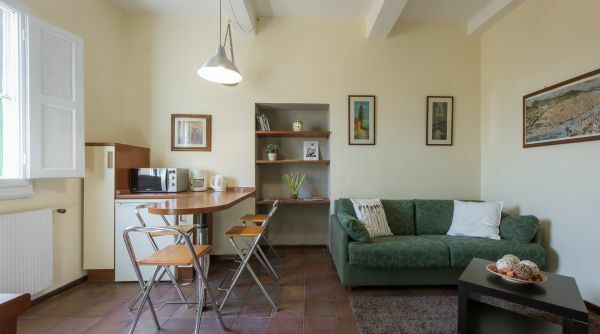 There is a living room/kitchen area with a double sofa bed, a counter that serves as a dining room table and a coffee table. 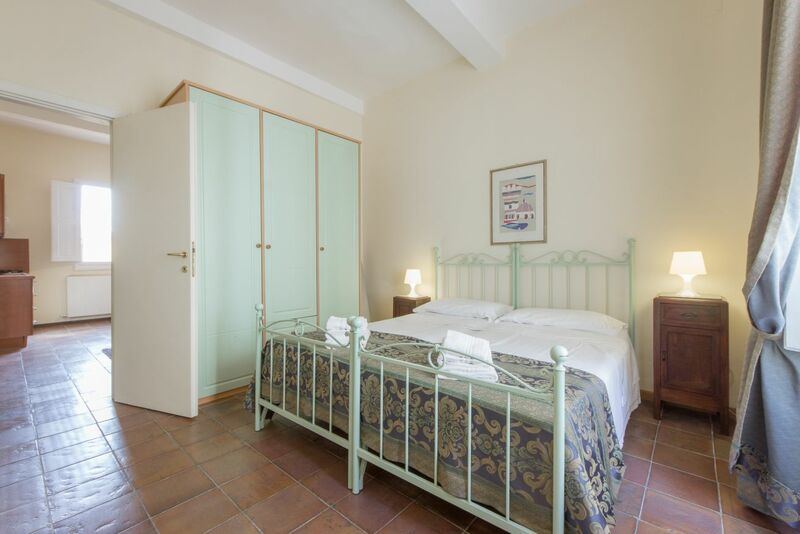 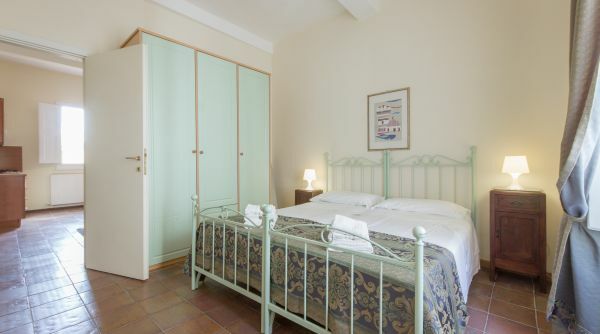 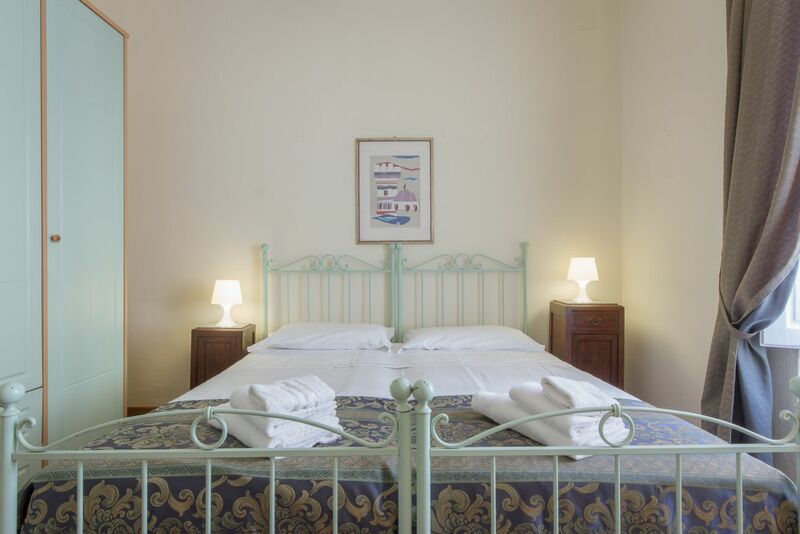 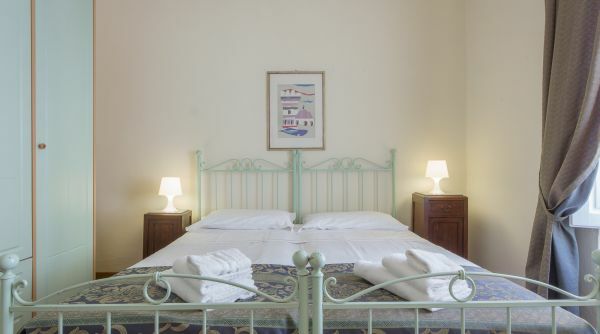 The bedroom is spacious, with two comfortable single beds that can be combined into a double, if needed. 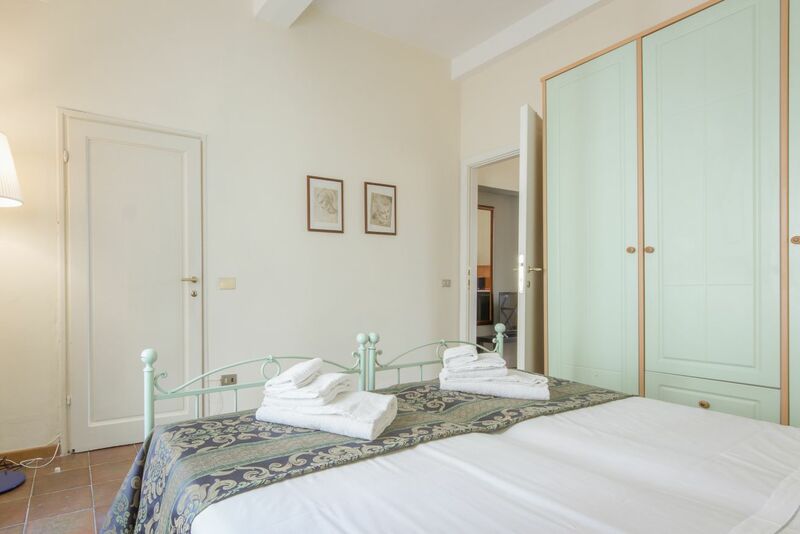 Here you will also find a large closet and bedside table drawers – the ample amount of storage space is ideal for medium / long term stays. 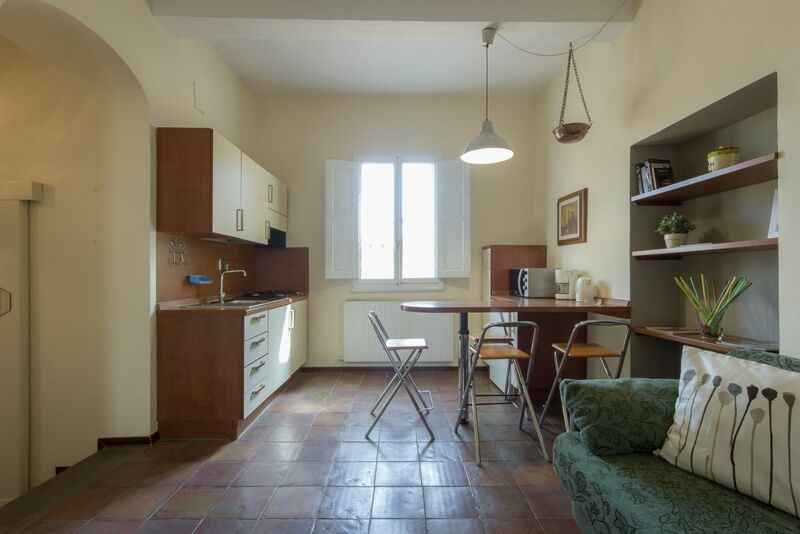 There is original cotto tile flooring throughout the space. 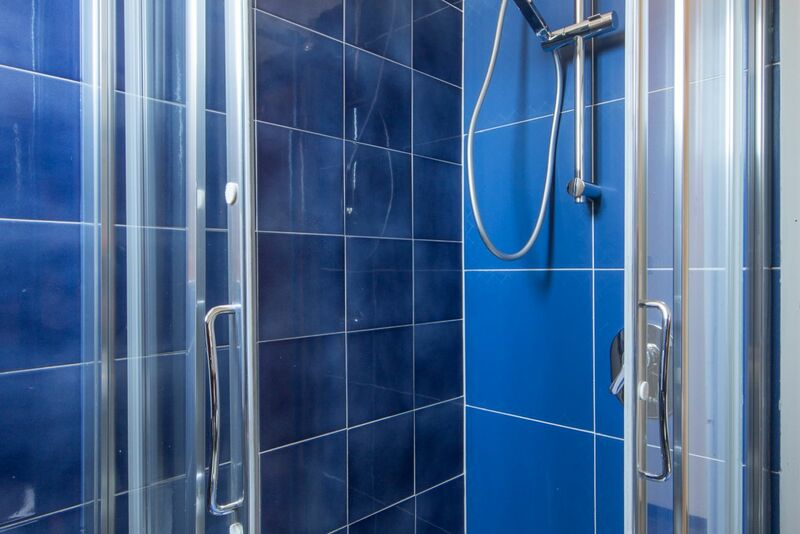 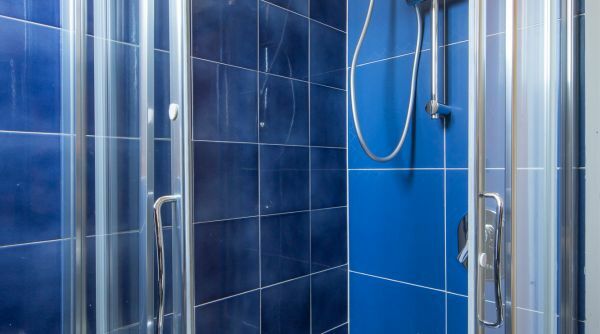 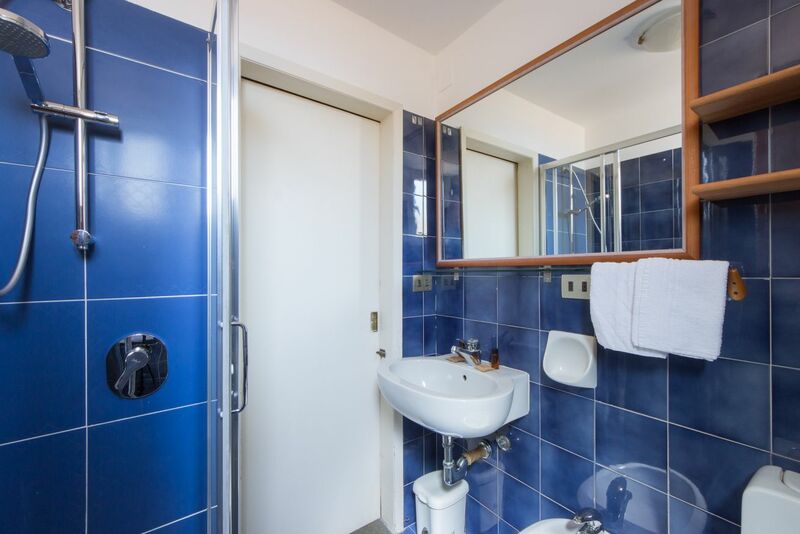 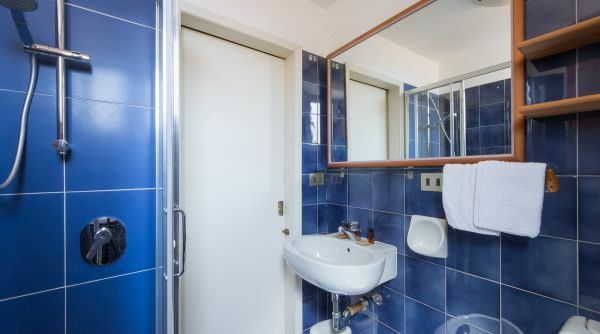 There is also a renovated, spacious bathroom with a large shower.